In 1907 Dr. Maria Montessori, Italy’s first female physician and graduate, introduced a revolutionary approach towards the way children are educated. Through years of observation and scientific study, she created a system that looked at the development of the entire child. She believed that all children possess an intellectual and creative potential, an internal desire to learn and the ability to direct themselves in this learning. 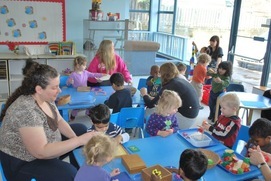 Montessori will offer you, without question, the most scientifically prepared academic environment you will encounter. Balancing this, however, is a community environment filled with heart. The children enjoy an interesting, interactive setting where they will be challenged and stimulated, but also share as much physical comfort and support as needed. In classrooms rich with Montessori materials, children are grouped together in three-year age spans, where they have the ability to learn the role of mentee and then mentor. 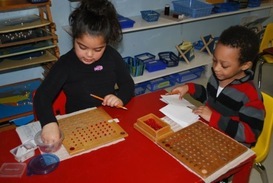 Montessori is an individualized approach to education that helps each child reach full potential in all areas of life. It is student-centered and encourages creativity and curiosity, which leads children to ask questions, explore, investigate and think for themselves. Montessori students develop creativity and confidence, critical thinking, problem solving skills and a positive, collaborative attitude — all skills that provide a solid foundation for later years. ​In this ever-changing and demanding lifestyle, care for your children is of prime importance. MLCP understands your concerns and commits to helping you feel safe and secure in the knowledge that your children are receiving quality care, respect, guidance and academic instruction during their day. 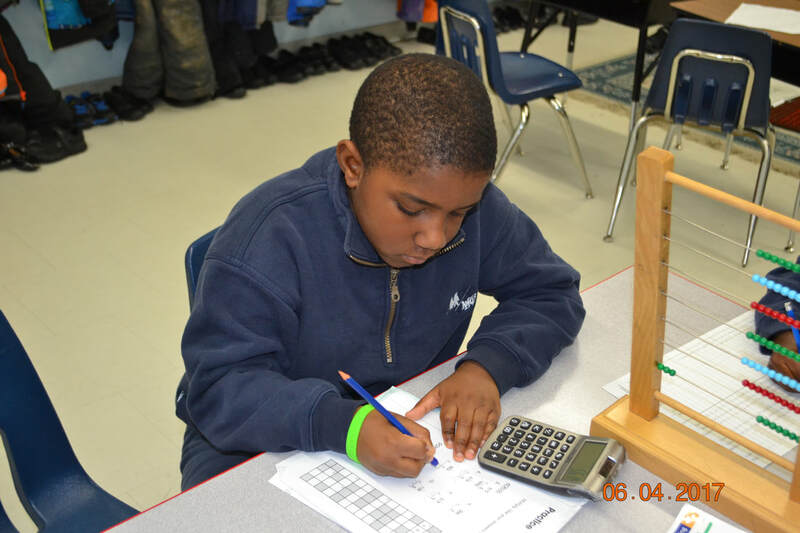 With over 30 years of experience, our school is not just a form of daycare - our Montessori method is designed to support each child to become a well-rounded, responsible and self-reliant individual who will demonstrate a love of learning, self-confidence and sense of fair play throughout life. Our dedicated and nurturing staff work with students on an individual basis, understanding and learning their needs and guiding them towards achieving their potential. To continue on our path of quality education, recognizing the importance of respect, knowledge and individualization for each and every student. To impart knowledge with understanding in a supportive and respectful environment. Staff members are mandated under the MLCP policy manual and annual contracts with regular evaluations. With many of the original teachers still on staff, our staff turn-over remains minimal with an average duration of 10 years. Staff members are required to satisfy criminal reference checks with regular First Aid and CPR updates. All head teachers are qualified Montessori teachers.